SANTEC has introduced a ultraviolet (UV) hardened spatial light modulator (SLM) based on Liquid Crystal on Silicon (LCOS) technology. This product support WUXGA (1920×1200) and Full-HD (1920×1080) video resolutions, the 2nd generation. SLMs from Santec will still offer 4 times better 10-bit (1024 gray level) and 10 times better phase stability (when compared with conventional products in the market) that was found in the 1st gen. SLMs. The UV model SLM (SLM-250) has a 42 times higher UV resistance specification when compared to the visible to Infra-Red (IR) wavelength SLM-200. A power density up to 10mW/cm2 is sustainable using a novel liquid crystal and dielectric mirror design. 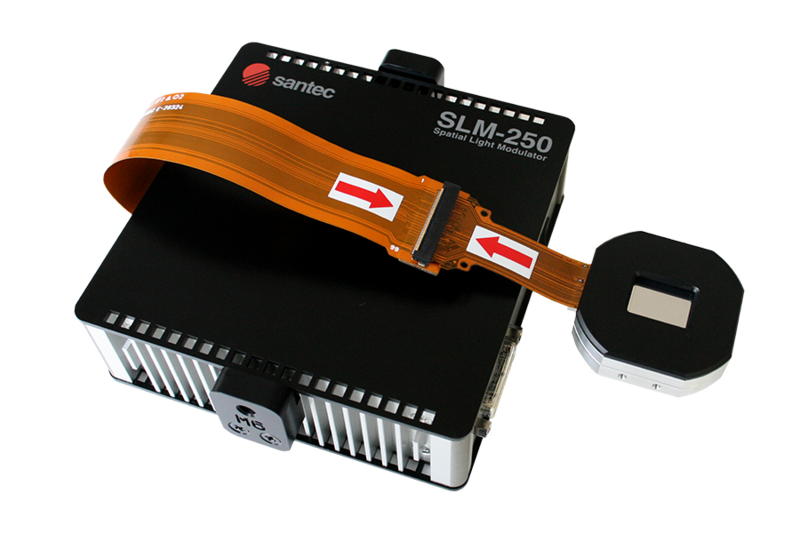 The SLM-250 follows the popular first generation SLM-100 from Santec that has been deployed in various industrial and scientific applications, including beam shaping, computer-generated holograms, optical manipulation, and wave-front compensation. Phase depth 2π – rad. Phase uctuation Typ. 0.003π rad. 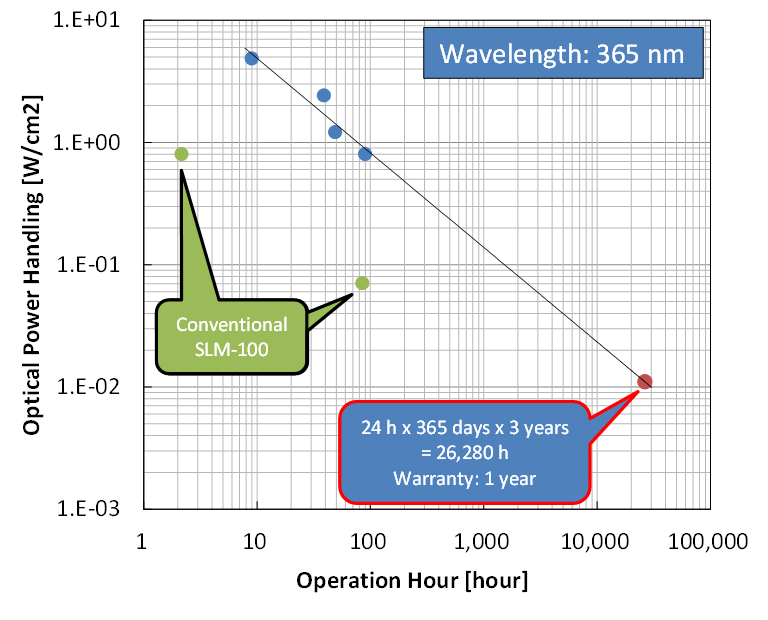 Figure 1 SLM-250, Lifetime test as a function of optical power handling.